PHOENIX — Young hunters who want to learn all about hunting spring turkey are invited to attend any of three mentoring camps April 18-21. Unit 23: Location: Colcord Ridge Campground, east of Payson, serving Game Management Units 23, 4A, 4B, 3C. Seminars, outdoor skills, activities, camping. Meals provided. Information: Rich Williams, azgobbler60@gmail.com. Unit 6: Location: V bar V Ranch, Lake Mary Road and Forest Service Road 81 near Happy Jack, serving Game Management Units 6A, 5A, 5B. Seminars, outdoor skills, activities, camping. Meals provided. Information: Tim Denny, longbeardsaz@gmail.com. Units 1, 27: UPDATED LOCATION: Highway 260 and County Road 1325, serving Game Management Units 1 and 27. All hunters must have a hunt permit-tag. Meals will be provided Friday and Saturday, and breakfast, snacks and drinks Sunday. For directions, visit https://www.facebook.com/photo.php?fbid=10219163081254121&set=p.10219163081254121&type=1&theater. For information, email Donna Greene at redryak@outlook.com. A youth-only nonpermit-tag (over the counter) is $10 for residents and non-residents, and can be purchased from license dealers or any of the Arizona Game and Fish Department’s regional offices statewide. These youth-only nonpermit-tags are valid for some Game Management Units near the mentored camps (1, 4A, 4B, 5A, 5B, 7, 8, 10, 12A, 27). A youth combination hunt and fish license is $5. The department, along with its extensive network of partnering organizations, host dozens of outdoor skills-development events and activities scheduled throughout the year to suit almost everyone’s needs through the Outdoor Skills Network. 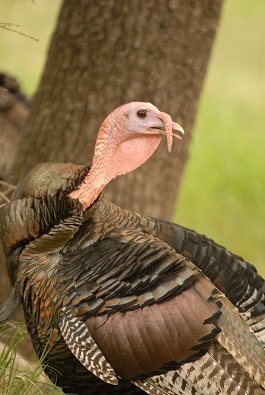 For more information, and to register for these spring turkey camps, visit https://www.register-ed.com/programs/arizona/170-outdoor-skills-network/name:turkey. For more information about the Outdoor Skills Network, visit www.azgfd.gov/OutdoorSkills.